I want to give you some basic information about Zija International, the Company and the business opportunity, and about ZIJA, the health beverage. My purpose is to bring you rapidly up to speed. My secondary purpose is to have you feel confident to launch this business with us into the various world markets we plan to develop by providing you with certain critical underlying business facts upon which this venture rests. 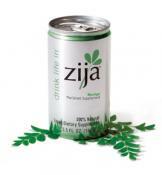 Zija International is the first Company to commercialize the Moringa tree. The Company’s scientists put together a formulation that extracts the most nutritious parts of the plant and the end result is called ZIJA. The beverage is 100 percent natural and organic. There are no preservatives or concentrates or chemicals added to the beverage. The Company uses a flash pasteurization process to purify the beverage while preserving its entire special nutrient content and that content is simply not available anywhere else in any other product. Zija, in an effort to reduce the propensity of these ailments has begun a network marketing campaign (launched in November 2006) to bring more awareness to the public of a potential solution to malnutrition. Through network distribution channels, more and more people are learning about and are consuming Zija Moringa Nutritional Beverage. The nutrition industry is exploding and this new awareness toward better health has created a perfect business opportunity for anyone seeking to start their own business with a product that is sure to revolutionize the health and wellness field. Visit the web site for details. Share your Zija story and bring this amazing product to the rest of the world.